25th April means many things to many people but for me, it is pure enjoyment and a time to take a moment to remember the people who made it possible to live the life many may take for granted (or not)! Here in New Zealand and Australia it is ANZAC Day – (Australian and New Zealand Army Corps) and is celebrated in our two magnificent nations with a day off. Briefly, the name was made official on the 25th April 1916. One year prior to the 25th April 1915, Australian and New Zealand soldiers formed part of the allied expedition that set out to capture the Gallipoli peninsula. These became known as Anzacs and the pride they took in that name continues to this day. As stated above, this date means many things to many people. My great, great Uncle Albert Ginns landed at Anzac Cove and didn’t make it much further than the beach. My Grandfather Charles Stewart fought with the 28th Maori Battalion in WWII and he came home! But three brothers didn’t. They are still in Italy and North Africa. In my wider family, the losses are still felt and the question is always asked: “what if they came home, what would our family look like now”. But mostly we are filled with a sense of pride for what the men and women of their respective eras endured and participated in. So that on the 25th April every year we can do what they only dreamed of. Yesterday, my family and I slept in, we cooked up a massive feed on the BBQ, we walked up and into our local town centre to celebrate the day, we ate again, drank more coffee, we then rested and then spent the rest of the day in our city and the local beach with more family. Late in the evening, we ate again and then I watched sport once the kids were asleep with a quiet wine or two. Bliss. 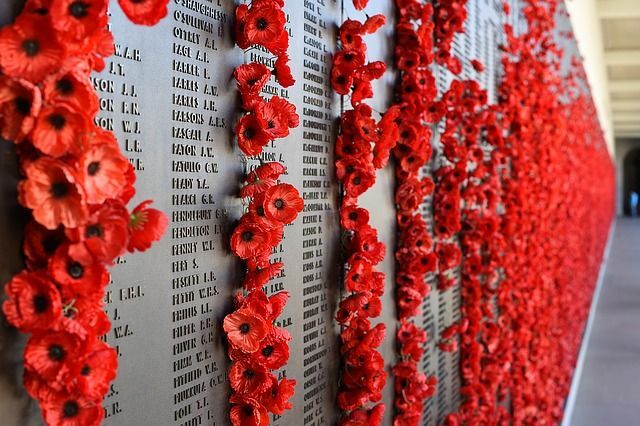 I am not ignorant to the conflict and chaos in many parts of the world, however, I am not shy to state that Downunder we are blessed with lifestyle made available due to the sacrifices made in a bygone era. I hope you all enjoyed your ANZAC Day. I did!